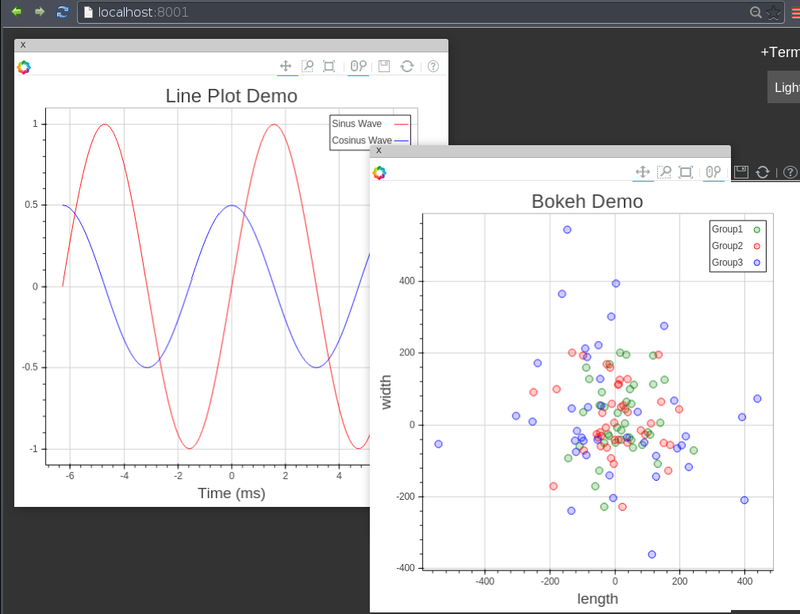 Bokeh is a Python interactive visualization library that use modern web browsers to display plots. It can be highly interactive and it can plot barely everything in a pretty way. In a few words, it looks perfect. A Bokeh wrapper is implemented in the iTorch Framework. First I was very enthusiastic since the interface is clean and Tensor are really well integrated. However, only the most basic features are wrapped. A small number of charts are available and few interaction are allowed on the plots. Maybe, I misused the library but it looks like a lot of features are hard-coded. Nevertheless, Bokeh/iTorch is still a good alternative for beginners. 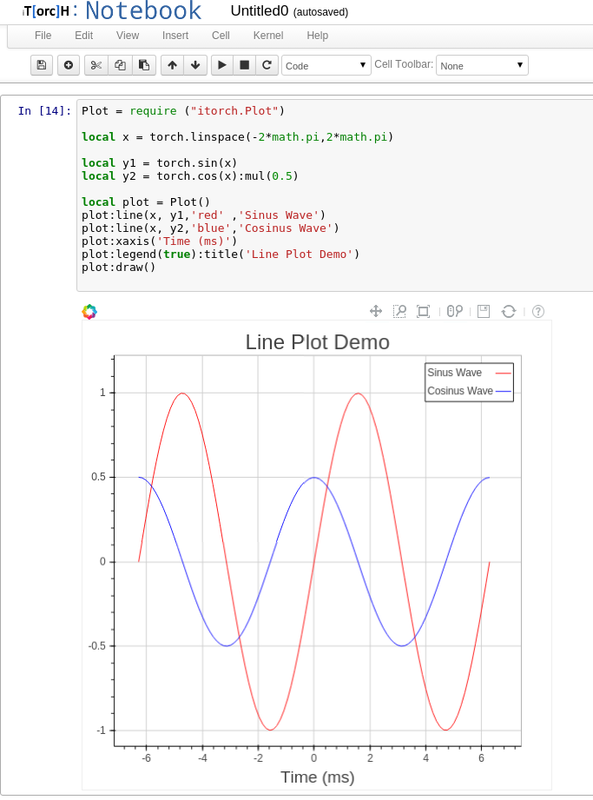 The Lua interface is way more-user friendly than NVD3 or dygraph! By default, you need to use either iTorch and its notebook or to save the html in a file. One cannot simply throw the baby out with the bathwater. iTorch plotting abilities are likely to evolve. Some charts are only available with bokeh such as quiver or quad.